Hold Kumkuma Holder/Cup (Kumkuma Batlu in Kannada) in your left Hand and offer Kumkum to Goddess by taking a pinch from it with thumb and ring finger for each sloka. Saturn transits a house/zodiac for 2 ½ years and completes its one full cycle in 30 years. Whenever Saturn transits the 12th, 1st and 2nd houses from the janma rasi(natal moon sign) it is called as sade-sati, Ealarai naatu sani or 7 ½ Saturn period. ‘Sade-sati’ literally means 7 ½ years. Anybody who has 7 ½ Saturn period becomes lazy. 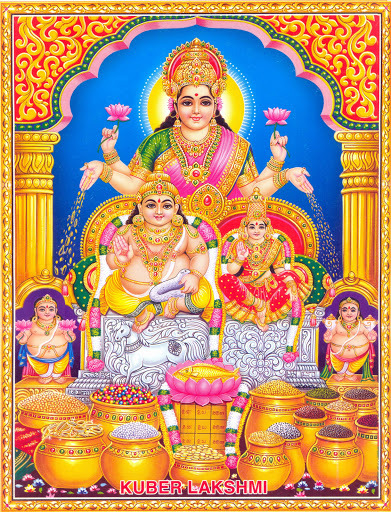 He would lack concentration, poor memory, delay in completing even a simpler task, unclean, living in dirty environments, lack of interest in grooming oneself, being anemic, lack of energy, pessimistic thoughts, in-different opinions with relatives and friends, financial troubles and un-happy environments are the general effects of sade-sati period. Everybody undergo three 7 ½ Saturn periods in their life. The first cycle of 7 ½ Saturn periods which occurs within the 30 years of age is called as mangu sani. The second cycle comes after the age of 30 and is called as Pongu sani. The third cycle is called as Marana sani. Avoid wearing Royal Blue, Red and Black Colour Clothes.